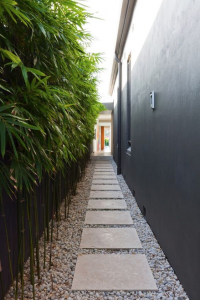 As houses get bigger and properties smaller, it becomes more challenging to create compact, visually beautiful gardens able to soften and screen fences and hard structures. The garden is the crowning glory of every home and transforming it into a low maintenance, usable and attractive space in scale with its surroundings requires careful thought. A sound knowledge of plants and local soils is essential to achieve long-term success. Seeking the help of an experienced and knowledgeable garden design gold coast professional is a must. 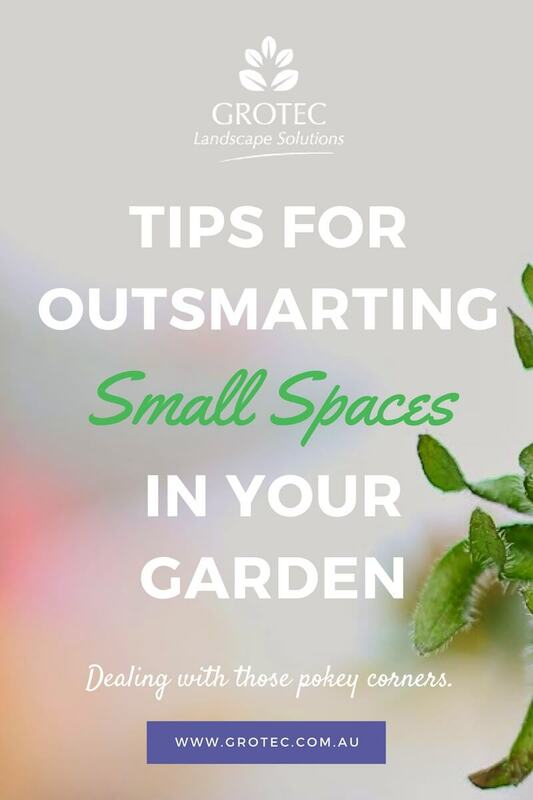 For home owners with no more than a small patio or courtyard, it is even more essential to talk to a knowledgeable horticulturist with experience and local garden design gold coast knowledge as they can recommend the right plants for your outdoor area. Achieving a sense of space and scale is integral to achieving harmony and visual satisfaction. Consider some of the clumping Bamboos. These tall narrow growing plants can create a stunning green wall between neighbouring properties and soften ugly fences. Some varieties of Bamboo such as Bambusa textillus ‘Gracilis’ can achieve a height of 6 meters within a year if planted into an improved soil foundation and watered and fertilized adequately. Bambusa Multiplex ‘Goldstripe’ is a dwarf form growing to around 3 meters and worth a try in any small space where height is required. Vertical Gardens are the best option for homes with small or long narrow spaces. They promote a contemporary style by greening up and softening walls and fences. 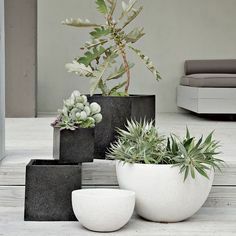 Vertical gardens use a variety of different shaped and sized pots that are layered in an upright stack and held together by a PVC, Metal, Wood or Galvanized Iron frame. The frames can be attached to walls and fences or even free-standing to accommodate and support the pots. Besides their space-saving capacity, vertical gardens can create a colourful and interesting backdrop against your walls. Vertical Gardens enable you to plant a wall of plants that can be ornamental or edible depending on the aspect and your specific requirements. The small space between the green wall and wall surface promotes a thermal barrier which balances the temperature for your plants year round. Vertical Gardens have acoustic benefits which help to absorb sound waves, making them ideal to use as screens between properties. 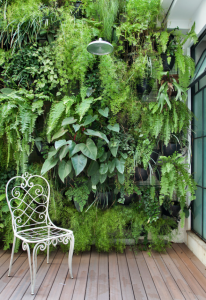 Vertical gardens also offer a classic modern-day vibe that satisfies most ages and decorating styles. 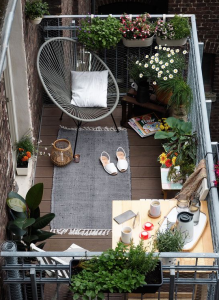 A minimalist styled garden design in small spaces means just that… Minimal. The space around the objects is as important as the objects themselves. It is imperative not to force over-sized plants and elements into this type of design. A restful and harmonious setting can be achieved by carefully considering the size, scale and colours within the space. Start by paving or tiling the floors in lighter shades and selecting furniture with clean lines that blend harmoniously into the space. Add items such as pots choosing plants that compliment the size and shape of pot. A water feature or statuary that sits comfortably into the scheme always looks good. To achieve height and scale around the perimeter select tall narrow trees or shrubs that soften exposed walls or fences. All elements should be in proportion to the space and give an illusion of a space. If a balcony or veranda is all you have, then good design can transform it into a delightful and pleasant space to relax and enjoy. Carefully consider your requirements for the space. Do you want to entertain and cook in the area? Do you want to relax and read a book in a comfortable chair? Is this an area where you might enjoy a glass of wine just with your loved one? or will it be an area shared with children and need to cater for them also? Container plants will always soften and blend the space into the home and surroundings, select plants that will thrive in the conditions provided. If the balcony is windy or positioned in shade or sun be sure to select the appropriate plants. There is nothing more disturbing than dying neglected plants in small spaces that flag attention. Terrariums are easy to maintain and can be placed anywhere to give real impact to small spaces. You can make a thriving ecosystem out of any sized glass container. Select small growing plants that grow in low light, moist conditions with high humidity. 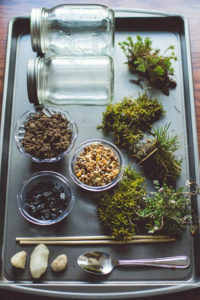 See our post on how to make your own terrariums here. Plants such as Pilea, Asplenium and other small Ferns, Moss, Peperomia, Saxifraga, Begonias, Hypoestes, African violets, Baby’s Tears, and Parlour palms all work well in terrariums. Need help with your outdoors? Grotec’s Garden Design Gold Coast team can help you create more usable, comfortable and aesthetically pleasing outdoor living and garden spaces. Give us a call to discuss your Garden Design needs today!